It is crucial to engage a native speaker who knows the sector for translation and localisation. Krystyna Rzemieniecka, a cosmetics marketing consultant with thebizmentor.co.uk said when working for a multinational a few years ago, she got a translation into German of blusher for buttocks instead of cheeks and car paint instead of nail varnish. The correct approach has its rewards as Krystyna told us UK women spend more on cosmetics than anyone else on the planet except Americans, and love buying online and via TV shopping channels. 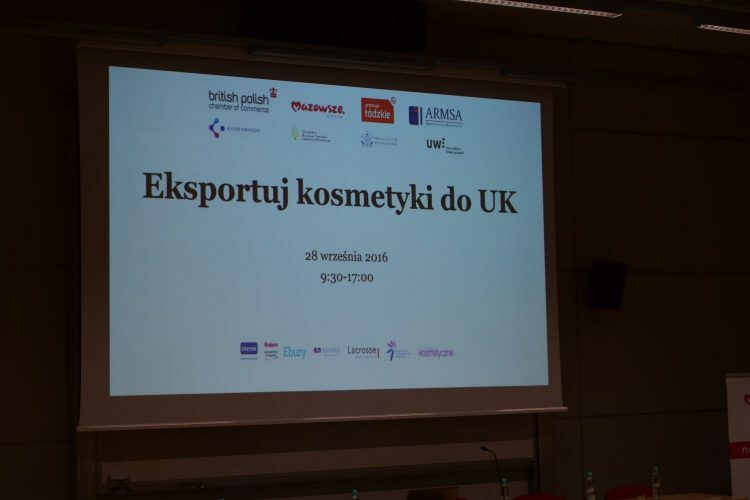 In some market categories the Polish cosmetics industry was in 4th place in terms of exports to the UK and was overall 5th in 2015, Michał Dembinski, the Chief Adviser of the British Chamber of Commerce told us. But there are troubled waters ahead as it is remains unclear whether the UK government will seek a “hard Brexit “ or “soft Brexit” when it comes to leaving the European Union. The softer option, whereby the UK would retain full access to the European Single Market would be much more favourable for importers of goods and services to the UK. 3. A rebound in exchange rates? Continuing the risk theme, David Kennedy, representing Lacrosse, warned against cut-price translation agencies who over promise and under deliver. Marketing texts must also go through an in-country market review before going live. He also said that businesses can save on localisation costs by writing in a concise way and reminded entrepreneurs that UK websites must be living organisms, updated regularly with new and relevant content. Non UK e-commerce operations that do well in the UK have websites with a UK look and feel and the back-up of local distribution. This was the promise of Krzysztof Łukosik of Raben, who admitted that “hard Brexit” might make sending packages more expensive, but that there were many options for getting Polish packages to the UK. 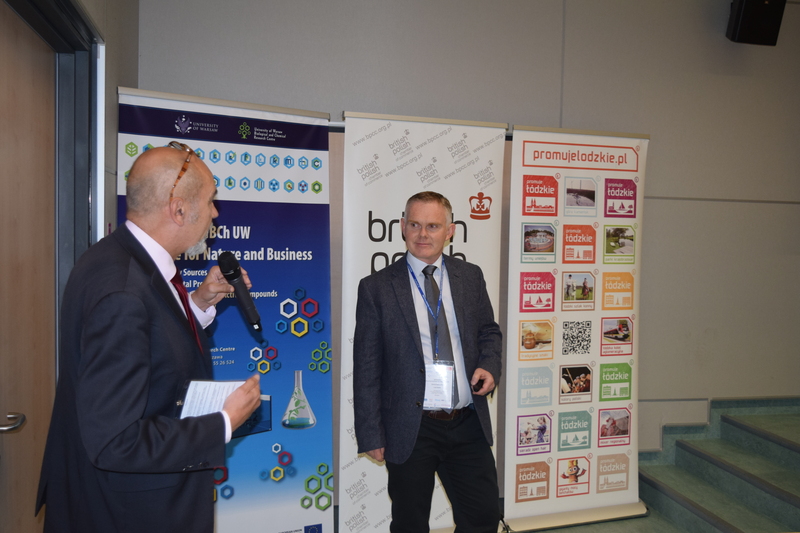 There is plenty of European funding available for R&D and internationalisation, which includes marketing and it is worthwhile to take advantage of it before the cut off dates, Małgorzata Rudnicka and Łukasz Jaros, representatives of the Mazowsze and Łódź regions, reminded us. Sebastian Szulkowski of Adams Solicitors advises Polish businesses in difficulties in the UK because they had not thoroughly checked out their business partners. He has a full case book and needs reliable translation partners. He warned of fraud cases and pointed out that the UK police will not look at crimes involving less than GBP 10 000. Getting the appropriate certification is another key factor, as was explained by Intertek’s Cosmetics Specialist, Izabela Leśniak . 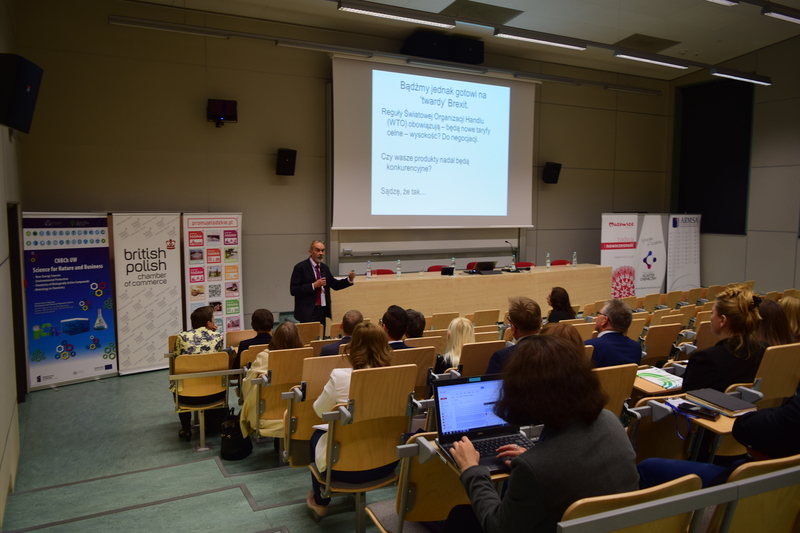 Summing up- Britain will remain a major, important market to Polish manufacturers and keeping abreast of potential risks and preparing properly will give them a head start. 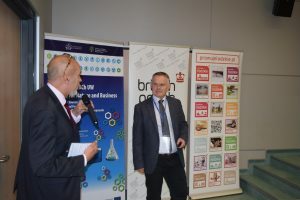 Presentations and media Adams Law, BPCC, BPCC Exporting to the UK, David Kennedy, Ebury, Intertek, legal translation, marketing translation, tłumaczenie marketingowe, transcreation, web page localisation. permalink.